In this article I look at how to write a reusable piece of code for finding compound interest and total accumulated value of deposit or loan in PHP programming language. Code developed here will become a basis to both a command line interface script and website form then. Since coding a CLI script frequently involves processing command line arguments, validating user input, handling errors and outputting formatted result, this series of two articles is a great opportunity to look closer at PHP getopt and I/O stream functions among other things. Compound interest is interest on previously-accumulated interest. This, can be seen clearly when principal sum is set to 1. In simple terms, the interest from the previous period is reinvested till the last period of a loan or a deposit is reached. Nothing gets withdrawn in the meantime. Total accumulated value is the principal sum plus accumulated interest at the end of the last period of loan or deposit. For finding compound interest I have written a PHP class called SWWWCompoundInterest. The class uses a not-too-complicated formula to find required value. Since the formula depends on a few, possibly user-supplied variables, the class prepares and validates user input. If configured to do that, it will format the computation result as well. inspect - allows to checking values of private properties of an SWWWCompoundInterest class object. In order to make SWWWCompoundInterest less complicated and common functionality in it available to implementations of similar problems, some code has been moved to smaller, more specialized classes (They should be included before SWWWCompoundInterest class is used). CompoundInterestBase consists of just one static method. The method allows to finding compound interest or total accumulated value. Two PHP classes are used to prepare and validate user input for SWWWCompoundInterest. They are CompoundInterestValid and SWWWValidation. The former, an extension to CompoundInterestBase, contains constants and functions used by the latter. The latter is a validation class I descrbed in detail in article on validating user input with functions. For formatting arrays or strings of numeric values I wrote SWWWStringArrayFormat. SWWWCompoundInterest needs some configuring before it can be used. I guess, these examples give enough insight on how SWWWCompoundInterest can be used. Compound interest can be found in a couple of lines of code. However, the trouble with the "quick option" is that it is neither reusable nor, since the formula depends on a couple of user-supplied variables, secure. My approach is longer and more complicated but it yields more secure and reusable body of code. In the second part of this short series on compound interest I&apos;m going to build both a CLI script and a form based on the PHP code introduced in this article. Author of the above article, Sylwester Wojnowski, is sWWW admin and owner.He enjoys doing Maths and studying algorithms, writing code in scripting and command languages, Thrash Metal music and playing electric guitar. ©Copyright, 2019 Sylwester Wojnowski. This article may not be reproduced or published as a whole or in parts without permission from the author. If you share it, please give author credit and do not remove embedded links. Computer code, if present in the article, is excluded from the above and licensed under GPLv3. 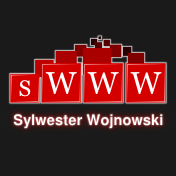 My name is Sylwester Wojnowski and I'm the author of pretty much everything that is on this website. For many years, well over 10, I've been a Debian GNU/Linux user. When time permits I play a Schecter electric guitar, listen to Thrash Metal or look after an ever growing bunch of Bristlenose Plecos in my tank. If you need to reach me, use the contact form provided. ©Copyrights Sylwester Wojnowski 1998 - 2019. All rights reserved.